Wen Qian graduated from Trinity College Dublin in Bachelor of Science in Physiotherapy with Honours, and has over 5 years of experience as a fully registered physiotherapist with the Allied Health Professions Council (AHPC). Wen Qian can speak fluent English and Hokkien. Her experiences include, but is not limited to, post trauma/surgical conditions, sports injuries, musculoskeletal conditions, geriatric rehabilitation and neurological rehabilitation. With a strong belief in a holistic treatment approach, Wen Qian constantly seeks to upgrade her skills. 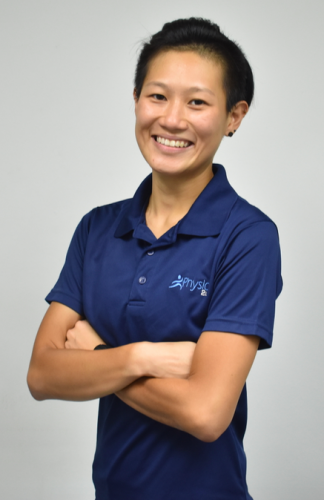 She is certified in Dry Needling, Kinesio Taping, and is currently pursing a certification with the National Strength and Conditioning Association (NSCA) as a Strength and Conditioning Specialist. Investigative in nature, Wen Qian aims to not just alleviate, but identify and treat the root causes of conditions. She enjoys the challenge of patients who have problems which others find difficult to treat, and takes pride in connecting with her patients as they embark on their healing journeys. She currently sees a mixture of elderly and post surgery patients in the comfort of their own homes. Wen Qian loves to travel and visit the world!